Has the marketing committee contacted any businesses/organizations to see if they will donate/support the event? If we are going to enlist random volunteers to solicit donations, it would be nice to know who has and has not been contacted. This is a panorama of how the D2/D3 NCAA Duals were set up at the same facility this past January ... it's State of the Art. Plenty of great seating on both sides and you can see everything. I hope the link works. I cannot believe we are headed toward our 4th annual Classed Team State Duals event. It seems like it was just yesterday that a group of people were kicking around the concept for this event. For what it is worth, I am pleased with the growth that this event has gone through. Most worthy ventures have experienced growing pains of some sort, and this event is no different. Although there is an official IHSWCA board of directors roster, there are roughly 5 people who have done the lion's share of the "behind the scenes" planning and work for this event. I do not say this to lay blame or capture a pat on the back; it's just the reality of the situation. With respect to the "Areas of Growth" and my comments above, the IHSWCA will have important decisions to make surrounding this event for the 2016-17 (5th annual) event. We have been very fortunate to have the support of the ISWA and our top wrestling officials in pulling together on the actual day of the event each season. We do appreciate the work done by many people during the weeks leading into the actual event, but I am not kidding though when I say that a small hand full of people work the other 11 months of the year in planning the event. There is no doubt in my mind, as the planning committee chairman, that this event can grow by leaps and bounds over the next few years; BUT the IHSWCA will have to be careful that this event doesn't become too big of a creature to manage. The IHSWCA does not host this event to make money. It has been nice that we have had some monies left over each year after the bills are paid, but again, we have never made a decision for this event with the intent to profit from it. With that being said, to take this event to a bigger venue and the "next level", there will no doubt need to be sponsorships secured. We just haven't had to do that so far, so an emphasis (and a person) hasn't really been placed on garnering sponsorships (but that may need to change after next season). - no participating team in the first 3 years has complained about this fee. All of these coaches have been very supportive. * There has been ample discussion on utilizing a larger facility. place for us for next season. events in a different part of the state. Although a little inconvenient for a few teams, it should be an overall positive. - The size of the venue; # of mats; length of the event (# of days); selection process... would all be impacted by adding additional teams. I appreciate the dialogue and ideas being tossed around for this event. I just wanted to share some pertinent points and possible limiting factors that have to be considered as the IHSWCA moves forward with this event. Well, I am just hoping someone shows me up by getting a bunch of donors for the ihswca, that would sure prove me wrong. No one is trying to show anyone up. I merely offered suggestions. Having 4 members of a marketing and promotions committee each call 5 businesses does not seem like an insurmountable obstacle. 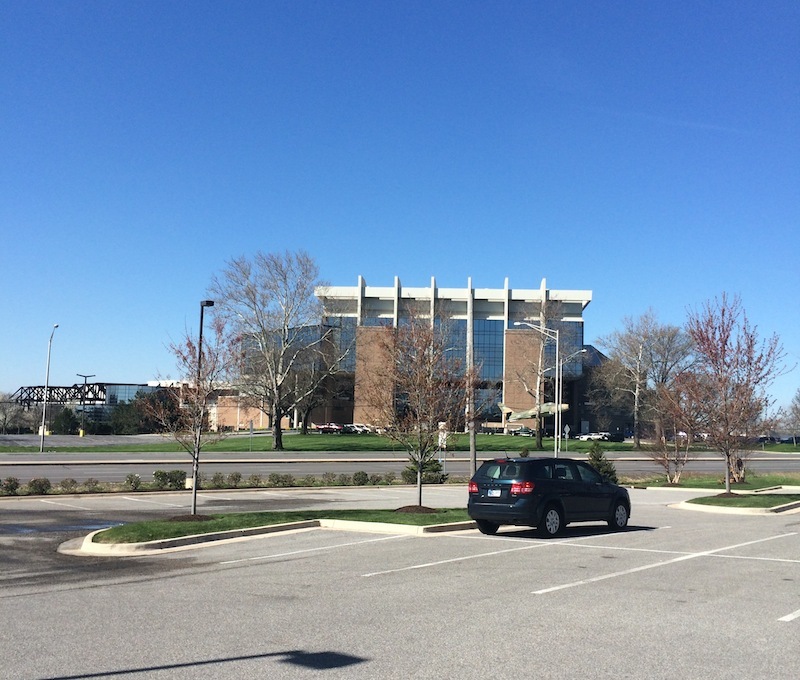 Took this picture yesterday of the Coliseum from the parking lot of the Holiday Inn across the street. Just happened to be there and thought it was relevant. If your team was good enough to qualify make a night of it and stay and not worry getting back at 3AM. Before you say cost. Do a chicken fundraiser. I will buy one. I love chicken. Yo, WWE SummerSlam will be at the Ft Wayne Col on June 21. I think we can all agree, if it's good enough for Vince McMann, then it's good enough for team state. Hell, stay the night before......If Holiday can make people into Doctors, Major Business Owners and several other successful people, just think what it will do with a group of wrestlers. Last time I stayed at one my son grew 3 inches and won JV state.I'm afraid to stay there again, he may turn into a basketball player. Wait...I thought summerslam was in Brooklyn...are we now wrestling team state at The Barclay's Center? If so, I'm sooooo in!! Possible sponsors for team state? I have always been partial to the Royale Rumble. They only still go big on Survivor Series because it was the first "other" big PPV. Has been lame for a long time. Moment? Shhhoooooot....that's every time someone says there's green bean casserole on the supper menu. The IHSAA does not allow travel on a Sunday. (I know, 3 AM WOULD be Sunday) But the rule would not allow us to stay overnight into Sunday. Well, do it like we do at individual state........release them back to their parents. Or call ISWA for a waver......sorry couldn't help my self.